Kathleen Hanna. Photo by Deb Frazin. Los Angeles just cannot get enough of Bikini Kill! Their 2019 reunion mini-tour was originally scheduled for only three shows, one each in LA, NYC and Brooklyn. The tickets for the first show at The Palladium in LA on April 25th sold out within minutes. A second show was added on April 26th and it also sold out almost immediately. There are complaints that ticket brokers are scooping up all of the $39.50 tickets before fans can buy them. Tickets can be found at LiveNation for $136 right now. Draw your own conclusions. We now have one more chance as Bikini Kill has added a third Palladium show on May 2nd. Tickets go on sale Friday at 9am. The Bikini Kill reunion includes original members Kathleen Hanna on vocals, Tobi Vail on drums, and Kathi Wilcox on bass. 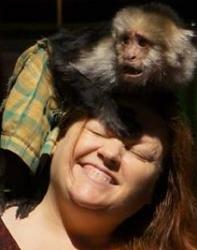 Erica Dawn Lyle will join them on guitar. GETCHER TICKETS HERE! Bikini Kill came out of the Portland feminist art punk movement in 1990. Their anthem, “Rebel Girl” became a touchstone for 90s punkers and a regularly-covered standard. 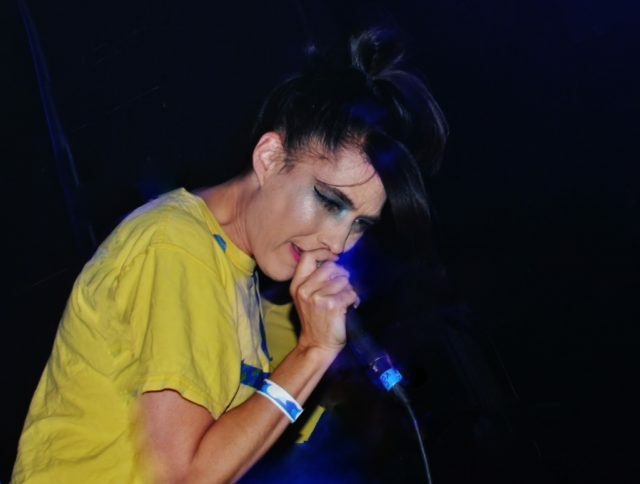 After the band went their separate ways in 1997, Kathleen Hanna went on release a solo album under the name Julie Ruin, and form the bonkers electronic dance trio Le Tigre. Hanna had to leave the stage in 2005 to focus on her health after contracting a debilitating form of Lyme Disease. But Hanna wasn’t down for the count. A new band, also called The Julie Ruin, appeared in 2010 and released an album in 2013. That same year saw the release of the documentary “The Punk Singer,” which not only focused on Hanna’s music, but also her struggle with her health. Recently, Hanna, along with Bratmobile’s Allison Wolfe, sang backup on some of the cuts off of Alice Bag’s album, “Blueprint,” and appeared in the “9 to 5” inspired video for “77.” Her appearance onstage at the release party for that album, after such a long absence, sent the audience into hysterics. With the reissue of the Bikini Kill catalog, including their first appearance on streaming services, the time for their re-appearance seems to be right. Set your alarm to get your tickets Friday morning, and don’t forget: Girls to the front!